Welcome to the Ham Arena. We are a year-round, non-profit ice skating facility in Conway, New Hampshire. We have one of the largest sheets of ice in New Hampshire with a seating capacity of 450. Annually we have an estimated 250,000 people visit and utilize our facility. 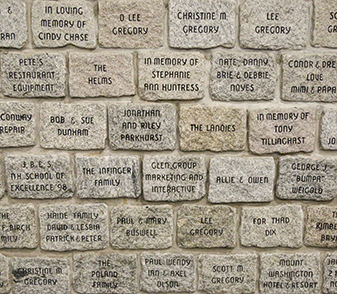 Here is a chance to put your family’s name or your business name on a personalized cobblestone in a “Wall of Fame” located in our skating facility. 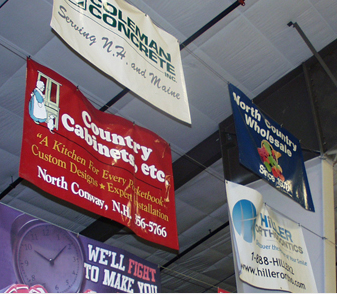 New Banners can be customized with a personal or corporate message and will be suspended around the edge of the arena visible to visitor and fans from almost all points of the arena. 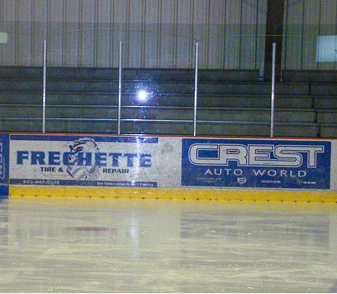 Dasherboard panels can be customized with a personal or corporate message and are displayed on the boards surrounding the ice surface. Conway, North Conway and the Mount Washington Valley is not only a beautiful area of New England but one of the most fun. Never a shortage of activities both in-doors and out. Home to some of the best shopping, restaurants and places to stay from private home rentals to luxury Inn’s and Hotels. Come visit us.